This AR Pistol features a forged aluminum lower AR pistol with metal mil-spec parts kit and installed SB Tactical SBA3 5-position pistol arm stabilizing brace. 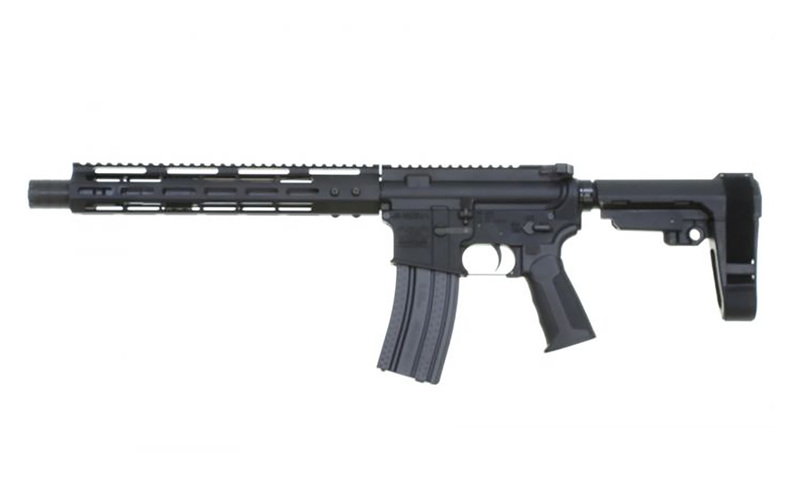 This model also has a 3″ Flash Can attached to the 10.5″ barrel that is nested inside an extended length 12″ M-LOK handguard. features a minimalist design with an integral, ambidextrous QD sling socket.